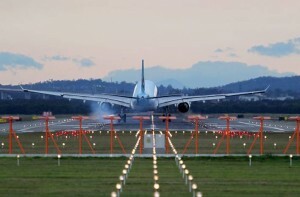 Australia’s aviation industry relies on Airservices for the provision and maintenance of air navigation technology and equipment critical to aviation safety at regional and major airports, aerodromes and airstrips. Below are a few of the critical navigation aids that controllers use every day to keep Australian skies safe. Automatic Dependent Surveillance Broadcast (ADS-B) is a satellite-based technology which requires aircraft to be fitted with an ADS-B-capable transponder. Aircraft data is transmitted via satellite to ground stations all around the country. The data is displayed on controllers’ screens and provides accurate surveillance. Airservices uses terminal area radar (TAR) and en route radar to assist with separation of aircraft in controlled airspace. 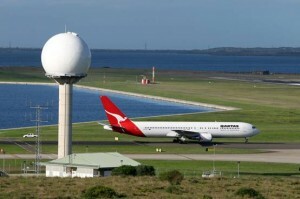 At major airports, it is common to have both radar in use. TAR, or primary radar, relies on radio waves reflecting off metallic objects and is effective within a short range from the radar head. Regardless of whether an aircraft has a transponder, primary radar will detect an aircraft’s position, height and approximate airspeed. TARs are useful for detecting aircraft in controlled airspace close to the airports. En route radar, or secondary surveillance radar, relies on an aircraft having a transponder which transmits a data signal. The signal is received and interrogated by a ground station. En route radar covers larger volumes of airspace ranging from 250 nm (463 km) in radius and up to 100 000 ft (30 km). An Instrument Landing System (ILS) allows aircraft to land at an airport when there is poor or low visibility. An ILS is comprised of two transmitters—the localiser and glide slope. This ensures the aircraft is within the lateral and vertical parameters for the runway being used. Advance Surface Movement Guidance and Control System (A-SMGCS) works in a similar way to ADS-B but on the ground. Aircraft and ground vehicles are fitted with a transponder which transmits a signal to a receiver at the airport. Used at major airports, A-SMGCS shows the position of aircraft and ground vehicles on a screen in front of the surface movement controller in the tower. In the future, conventional ILSs may be replaced by a satellite-based precision approach and landing system called Ground Based Augmentation System (GBAS). Using just one array of four short transmitter/receiver towers installed at an airport, GBAS can guide up to 26 highly-precise and smooth approaches simultaneously with greater accuracy. Smart Tracking is a form of performance-based navigation using satellite technology to precisely plot an aircraft’s flight through a specific three-dimensional path in the sky. Smart Tracking use can reduce flying time for passengers, fuel use and CO2 emissions.